Researchers from various institutions in China found that aster (Aster tataricus) has anticancer activity. This study, which was published in the African Journal of Traditional, Complementary and Alternative Medicines, looked specifically at aster’s effects against oral squamous carcinoma through in vitro experiments. Oral squamous carcinoma is one of the most malignant forms of cancer, with more than 600,000 cases and nearly 350,000 deaths reported per year. This head and neck cancer can arise in the larynx, nasopharynx, lips, oropharynx, or neck cavity due to different factors. These include smoking, drinking alcohol, human papilloma virus (HPV) infection, poor oral hygiene, and nutrient deficiency. Although there are available treatments for head and neck cancer such as radiotherapy and chemotherapy, these can also cause severe toxicity and affect the post-treatment life of the patient. Moreover, some cancer cells can gain resistance against these therapies, highlighting the need for alternative therapies. 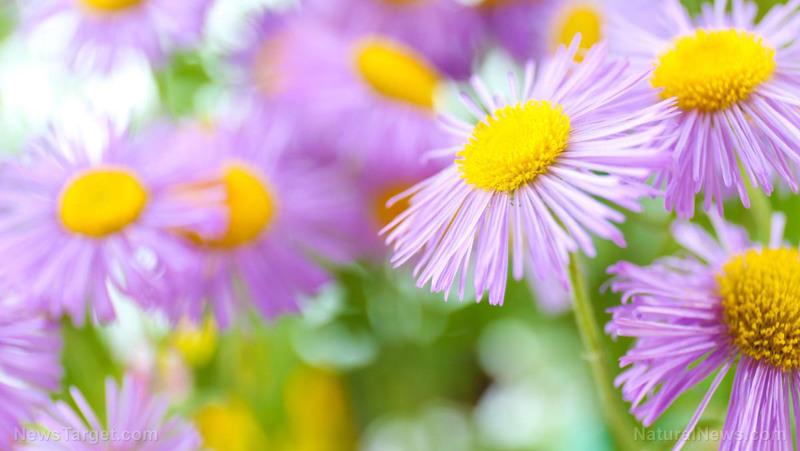 For centuries, aster has been used in China as a traditional remedy for bacterial and fungal infections, chronic bronchitis, tuberculosis, and cancer. The roots of this flowering plant contain triterpenes, saponins, shionone, as well as epifriedelinol and caffeoylquinic acids, which have potent antioxidant and anti-inflammatory activity. In this study, the researchers collected extracts from dried aster roots and administered various concentrations (10, 20, 40, 80, 160, 320 and 640 micrograms/ml) of this on SCC-9 cells, which are human tongue squamous carcinoma cells. Additionally, the team determined the ability of the remaining cells to form new colonies after the treatment with aster extracts. Results showed that aster significantly reduced the proliferation of oral squamous carcinoma cells and prevented them from forming new colonies, proving that aster has anticancer activity.